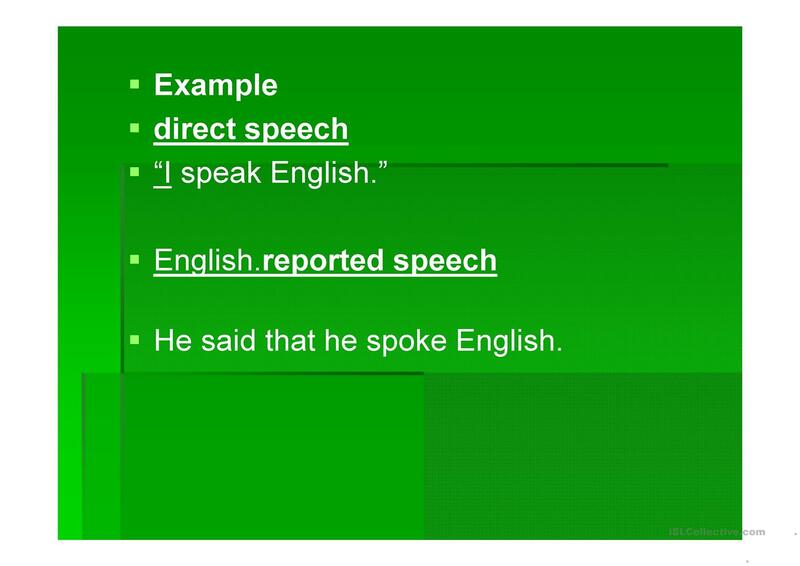 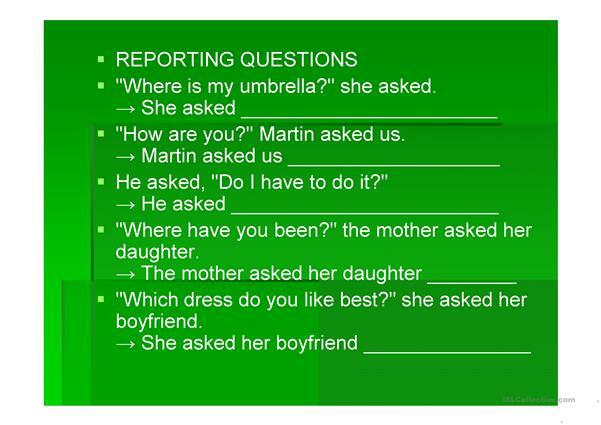 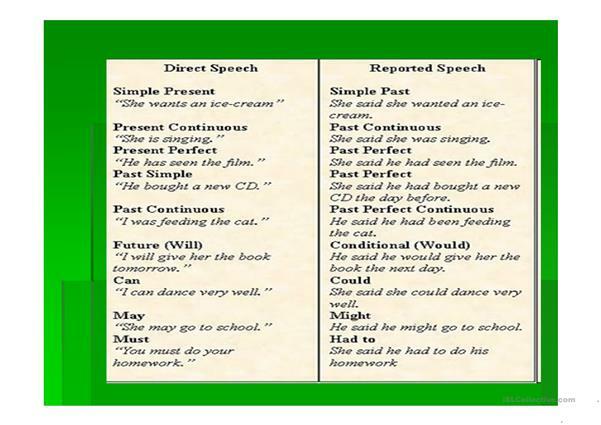 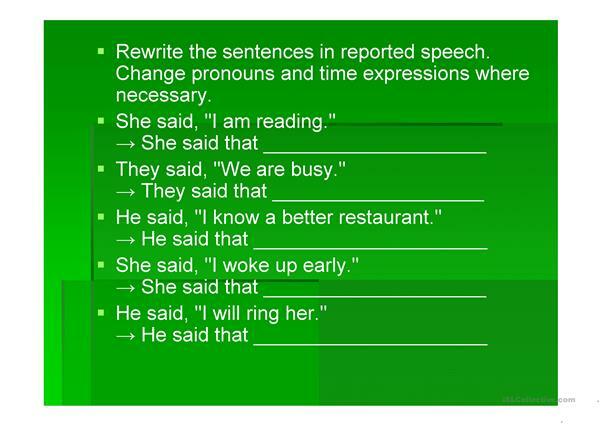 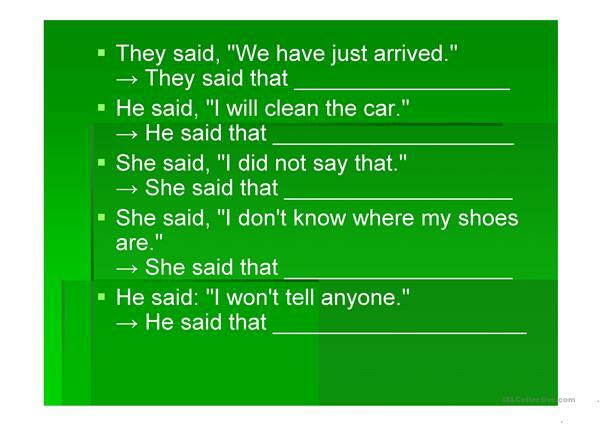 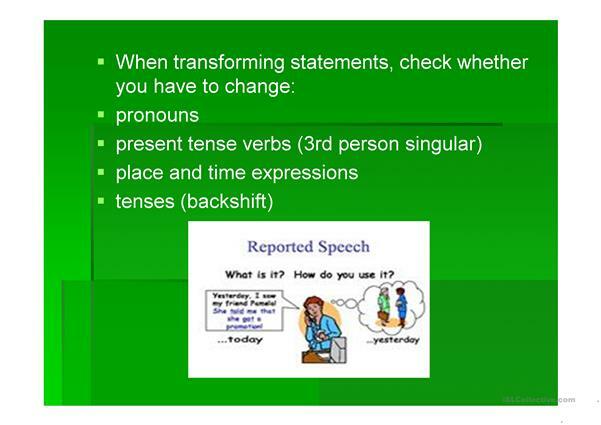 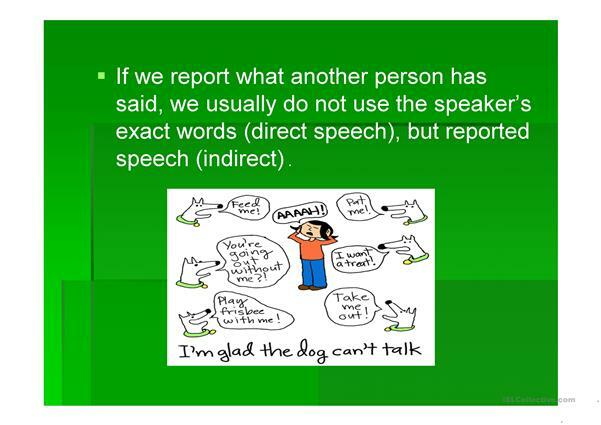 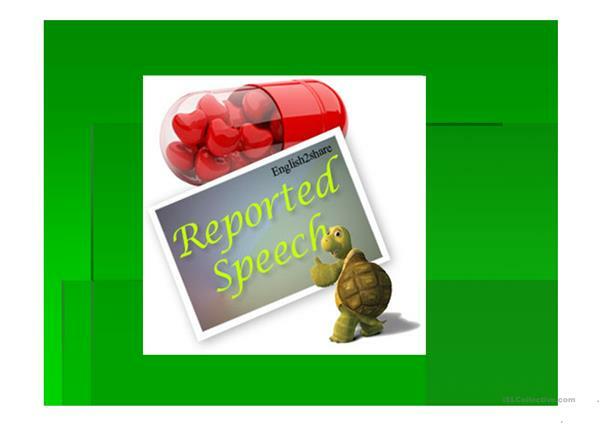 Power point ot explain reported speech sentences and questions, includes exercises. The present downloadable teaching material is meant for business/professional students, high school students and adults at Pre-intermediate (A2), Intermediate (B1) and Upper-intermediate (B2) level. 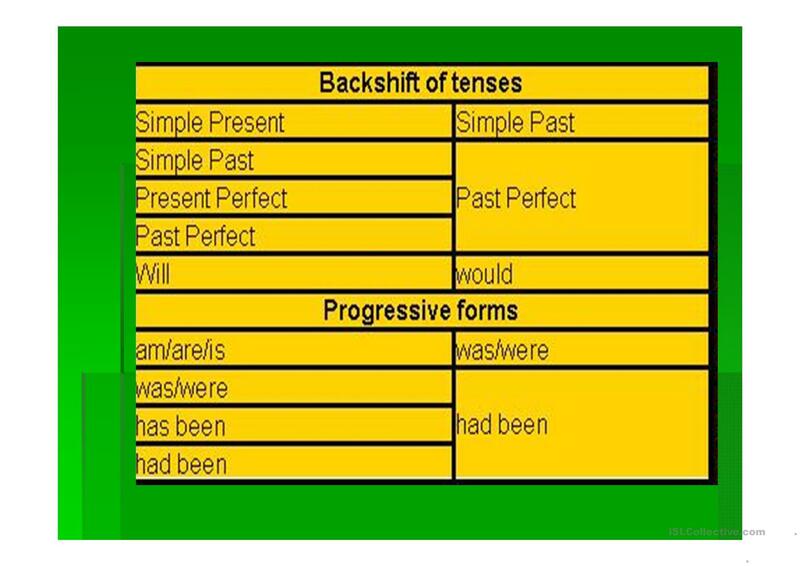 It is a useful material for practising Reported Speech (Indirect speech) in English, and is useful for strengthening your groups' Speaking and Writing skills. Maika is from/lives in Mexico and has been a member of iSLCollective since 2010-12-04 04:44:56. Maika last logged in on 2011-06-06 05:57:21, and has shared 1 resources on iSLCollective so far.